CAPTAIN MARVEL: A DISCUSSION with SPOILERS! Enjoy our entire review of Captain Marvel with Spoil-O-Rama! Find Field of Geeks on Twitter, Instagram, Facebook, YouTube, ITunes, Podbean, Stitcher, Castbox, Spotify, and www.fieldofgeeks.com. 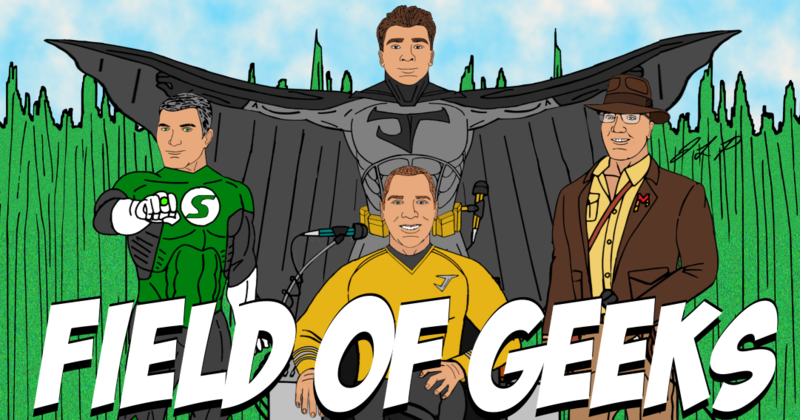 FIELD of GEEKS 112 – YOU’RE STAN LEE! Greetings True Believer’s! Join geeks, Josh, Joey, Steve, and David as they talk: Stan Lee, Supergirl, Titans, Once Upon A Deadpool, Disney Plus, Red Dead Redemption, Comics, and a spoiler-filled Halloween Review.